If there is one thing that Wall Street loves, it is predictability. So when year-after-year-after-year Apple continued to meet or exceed its own expectations for iPhone sales, the stock kept rising. But if there is one thing that Wall Street hates, it is a nasty surprise. So when Apple announced yesterday after the stock market closed that lower than expected iPhone sales in China would lead to lower than expected fiscal first quarter revenue, the stock was pounded. Hard. First in after hours trading, and then this morning. With Apple's shares down nearly 10% today to $142.60, the company, once worth over $1 trillion and the most valuable public company in the world, is now valued at $677 billion. And that means that Google parent Alphabet, with a market cap of $715 billion, is now worth more than Apple. So are Amazon ($738 billion) and current leader Microsoft ($750 billion). Taking a huge bath today is famed investor Warren Buffet. His investment vehicle, Berkshire Hathaway, owned nearly 5% of Apple at one point. His losses today on Apple's shares alone are estimated to be as high as $3.8 billion. And for Apple investors still in the stock, the bleeding might not be over. According to CNBC, Goldman Sachs analyst Rod Hall compared Apple to Nokia, one time King of the smartphone industry that was dethroned when it became dependent on customer upgrades that never came because of a slowing economy. Hall also said that based on demand in China for the iPhone, Apple could cut its fiscal year 2019 estimates again. Apple is expected to report results for its fiscal first quarter (2019) on February 7th. It will no longer report sales figures for the iPhone, which makes it more important that Apple make announcements like the one yesterday in order to keep investors informed. More like the stock is falling. Duh. Maybe grow a sense of humor? Maybe post something that's actually funny then. So, no humor. Got it. You must live a dreary life. I'm not the one who is trying unsuccessfully to be funny on the internet. Nope, now is the time to buy. Apple will bounce back like they always do. Timmy boy just needs to get s**t right and give more of what people want or stop charging so much for tiny update year after year. Wait...what if it keeps falling for a few more months?? I say hold out for fall/winter when things become foggy going into Christmas. It won't bounce back anytime soon, they already release iPhone a few months ago (their main source of income), and their stock just keep falling from then, and the fact that they cut Q1 forecast mean that they admit that their stock won't bounce back soon. It will probably go flat at Q2 (at best), and start coming up again on Q3. I'm not so sure this time. This is the first time in their entire history of iPhones they have not exceeded expectations, growth, revenue & profit. Also 2019 iPhones are not suddenly going to become cheaper to buy. They're likely to be even more expensive as this was already under development way before this crash and price was already factored in. Apple wasn't predicting this to happen. The sales figures are likely to be bleak for the upcoming iPhones. Very expensive 24 hours for Apple, stock loss is around $70 billion. Even at $142.60 the stock is artificially high after they spent $100 billion in the last 12 months on stock buyback. Tim Crook must be having nightmares as he is supposedly obsessed with Apples share price. They actually spent close to 250 billions on stocks buyback. Dammit, I'm getting slaughtered in the market. Looks like retirement is getting further away. https://www.macrotrends.net/2481/stock-market-performance-by-president Thank you Mr. President! His way of running an economy and creating relationships is horrible! They needed a little motivation anyways........ Here it is. Quick. Someone call a tech expert. Anyone know one? Amazon, Microsoft and Google deserved the 1 trillion valuable log before Apple. 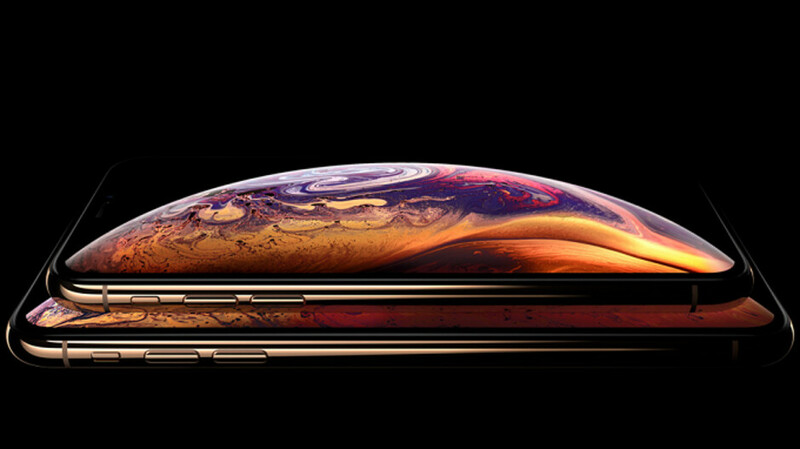 With the iPhone XS and Max have so many issues with reception, being so expensive, same design, and just overall boring why would people want to buy. My iPhone 7 Plus still going strong. No need to upgrade. 2018 was a bad year for Apple, hope they turn things around in 2019. Last thing we need is a lack of competition as Google becomes the only player in mobile.